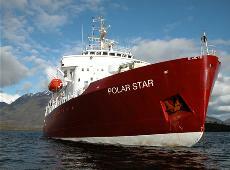 The Canadian operator of the 105-passenger Polar Star, damaged after striking an uncharted rock in Antarctica in January, went into receivership this week. And the captain of the expedition ship said the move left the 27-member crew stranded in Spain, where the vessel underwent repairs. The Nova Scotia Supreme Court on Tuesday placed Halifax-based Karlsen Shipping Co. Ltd., parent company of Polar Star Expeditions, in the hands of receivers PricewaterhouseCoopers Inc., reports the Halifax Chronicle Herald. The longtime Antarctica operator was reportedly millions of dollars in debt.